The TROPOMI/S5P cloud properties retrieval is based on the OCRA and ROCINN algorithms currently being used in the operational GOME and GOME-2 products. 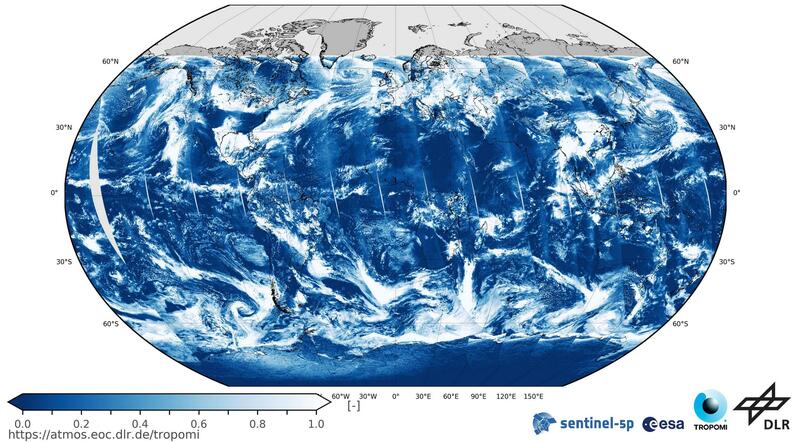 OCRA retrieves the cloud fraction using measurements in the UV/VIS spectral regions and ROCINN retrieves the cloud height (pressure) and optical thickness (albedo) using measurements in and around the oxygen A-band at 760 nm. For TROPOMI/S5P we use OCRA/ROCINN Version 3.0, which is based on a more realistic treatment of clouds as optically uniform layers of light-scattering particles. Additionally the cloud parameters are also provided for a cloud model which assumes the cloud to be a Lambertian reflecting boundary. The figures below illustrate the Cloud Fraction (top panel) and the Cloud Top Pressure (lower panel) as derived from TROPOMI data from 2 January 2018. Links to the Algorithm Theoretical Basis Document (ATBD), Product User Manual (PUM), and the Product Readme File (PRF) are provided here on the right under Documentation. 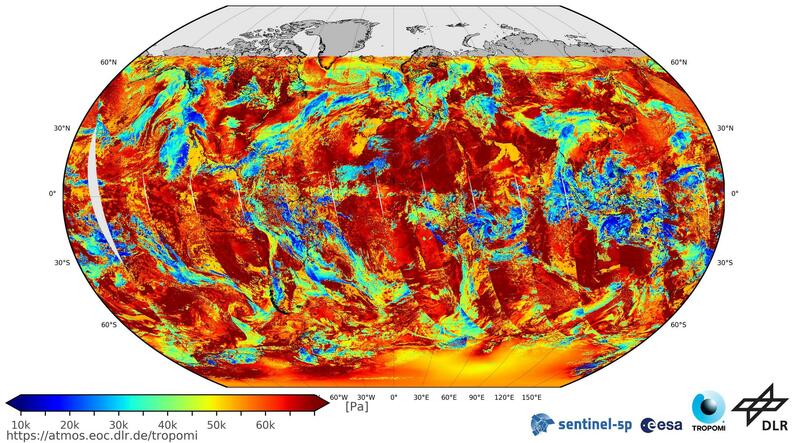 Note: this data product was publically released on 11 July 2018 and is available via the Copernicus Open Data Access Hub (see link on right).